Air101: Powdair connecting the UK with Sion this winter. 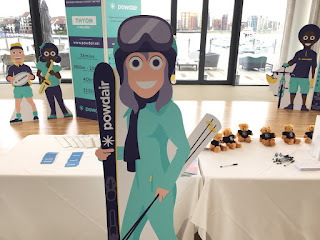 Powdair connecting the UK with Sion this winter. Powdair will be connecting eight British, European and Swiss airports with Sion, Switzerland from December 2017, including Southampton. With its own dedicated mainline railway station, Southampton Airport is a great gateway to the South East of England. The main line to London Waterloo takes just 66 minutes, whilst the historic city of Winchester is just 15 minutes away. Southampton Airport Parkway station is just a 60-second walk from the terminal, from where reliable, frequent trains whisk you into the centre of Southampton in a mere seven minutes. The coastal city of Southampton is often referred to as the ‘cruise capital’ of the world, playing host to over four million visitors per year. The city centre itself includes an impressive cultural offering, from museums, music venues and art galleries to award-winning parks and the general hustle and bustle of a diverse city with fantastic shopping facilities. Maritime history is a big deal in Southampton and no visit is complete without a visit to the SeaCity Museum. Here you’ll find an interactive model of the Titanic, which departed from the city in 1912. Nearby the Solent Sky Museum features vintage aircraft such as the iconic Spitfire. The winter 17/18 flight timetable starts from Monday 11th December 2017 and runs until 16th April 2018, plus they are already planning summer routes too! 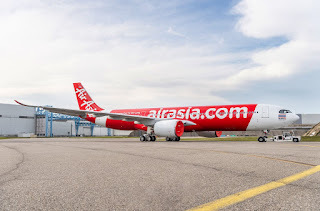 Gone are the days of flying into one of Switzerland’s much busier airports before embarking on a two or three-hour transfer journey to your destination. 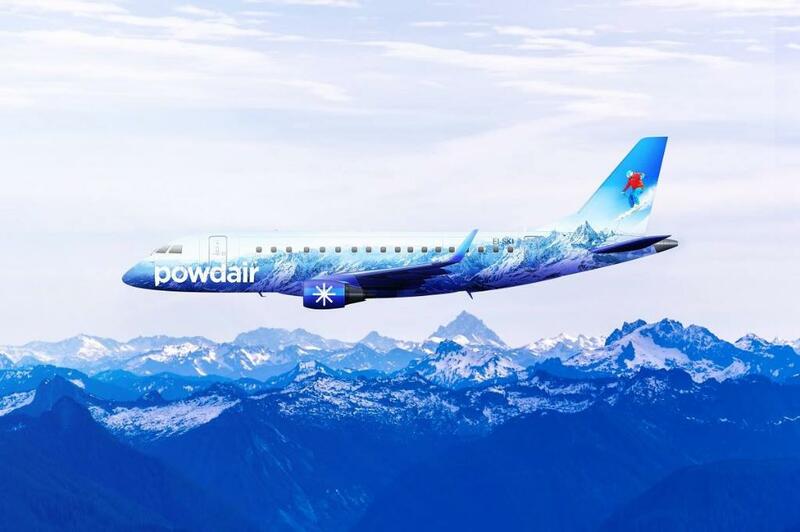 Powdair take you directly into Sion, in the mountainous Valais region of Switzerland, which is the perfect gateway to some of the very best ski resorts that Europe has to offer. With a short flight time from our European hubs, you’ll be on the slopes in no time. Switzerland is known for its chic, world-class ski resorts and the Valais is home to 36 different ski areas, offering over 2000km of pristine pistes. The charming resort of Nendaz is just 23 minutes from Sion Airport, whilst the sunny slopes of Crans-Montana with its massive range of all-year round activities (show jumping and world-class golf are just two of the non-skiing activities the resort is famed for!) are only 30 minutes away. The superbly family-friendly and affordable resort of Anzère is a mere 29 minutes away and the high energy resort of Verbier, a firm favourite amongst royals and party animals alike, is just a 45-minute transfer ride from Sion. Even the world famous high-altitude terrain of Zermatt with its iconic Matterhorn is only 1 hour away. Valais resorts such as Thyon (part of the huge 4 Vallées ski domain) and Lötschental are a popular choice for families and beginner skiers looking for gentle, progressive slopes on which to practice those first turns. Those looking for summer skiing opportunities will appreciate the glacial slopes of Saas-Fee and the endless powder fields only accessible by helicopter. And the huge Portes du Soleil region straddling both France and Switzerland and comprising resorts such as Les Gets, Morzine, Avoriaz, Champéry and Morgins is renowned not only for its massive connected skiable domain but also for offering some of the best mountain biking trails in the world. There are also no fewer than 11 Michelin-starred restaurants, proving that the ski resorts of the Valais really do have it all. Powdair are using Bombardier CRJ200 flying from the UK to Sion and from Antwerp to Sion - with a 50 seat configuration. They will also be operating two Saab 2000turbopropp aircraft from London City to Sion and on the Zurich - Sion flights. They will also be carrying 50 passengers. Snacks included in the airfare, but no bar service, but with a flight time of little over one and a half hours, you'll never notice the lack of alcohol!